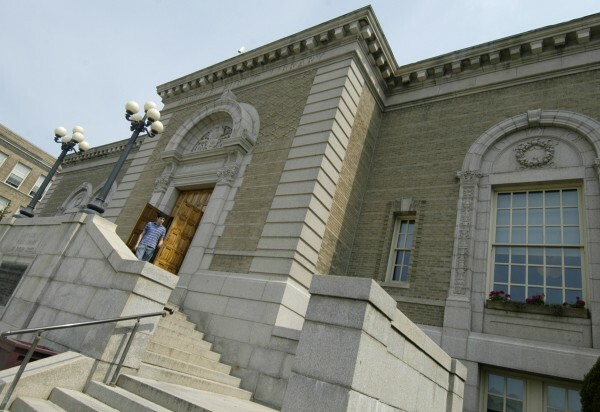 The Bangor Public Library is facing a financial pinch with the endowment shrinking and the price of books and energy steadily rising. The fifth Bangor Book Festival will bring a record number of authors to Bangor on Friday and Saturday, Sept. 30-Oct. 1, for a celebration of literature that will reach beyond the typical venue, the Bangor Public Library, to four other downtown locations. In a two-day span, 35 Maine authors (or authors with strong Maine ties) will read from their newest works, participate in panel discussions, sign books and discuss their writing with festival-goers. For those who have attended the festival before, the organizers are keeping it fresh. Only four of the authors presenting this year previously have participated in the festival. Keynote speaker Colin Woodard will kick off the event on Friday evening with a talk at the library about his fourth book, “American Nations: A History of the Eleven Rival Regional Cultures of North America,” which will be released Sept. 29, a day before the festival. The book is a “Top Ten Politics Pick” for Fall 2011 from “Publishers Weekly.” Woodard, originally from western Maine, is an award-winning journalist who has reported from more than 50 countries and is now a contributing editor at Down East Magazine. The diverse group of authors participating this year includes crime writer Paul Doiron, memoirist Susan Conley of Portland, nonfiction writer Hannah Holmes of Portland, poet Richard Foerster of York (who has recently been awarded a 2011 National Endowment for the Arts Fellowship for Poetry), historical fiction writer Ardeana Hamlin of Hampden, and Sarah Brauntein of Portland, one of two authors ever to be chosen as an International Book Foundation “5 under 35” honoree, in 2010, before her first novel, “The Sweet Relief of Missing Children: A Novel,” was published in February 2011. Foerster will read from his most recent book of poems, “Penetralia” (January 2011), for which he received the 2011 Maine Literary Award from the Maine Publishers and Writers Alliance. His reading will be at 10:30 a.m. Saturday at Bagel Central, where poets will read 9:30 a.m.-12 p.m. The Maine Arts Commission became a major supporter of the festival this year, and for the first time, festival organizers partnered with the Maine Writers and Publishers Alliance, a 35-year-old nonprofit organization that hasn’t been involved with the festival in previous years. Events for all ages will be held throughout Saturday, including an undersea collage making session for children with artist Rebecca Emberley 1:30 p.m. at the Children’s Discovery Museum. The “Great Bangor Draw-Off,” a big hit at last year’s festival, will feature Wade Zahares and Charlotte Agell, who will draw whatever the audience suggests starting 11 a.m. in the Bangor Public Library Lecture Hall. Carrie Jones, internationally best-selling author of the young adult supernatural “NEED” series, was assigned to a panel about the censorship of young adult literature, 9-9:45 a.m. in the Bangor Public Library Story Room, to share her own experiences with censorship, primarily on the title of her first book, “Tips on Having a Gay (ex) Boyfriend,” published in 2007. Jones is also scheduled to read 1-1:45 p.m. in the Bangor Public Library Story Room, and plans to give a sneak peek of the new “NEED” series book, which isn’t out until May 2012. She will also read an essay from the anthology “Dear Bully,” which she co-edited and just came out this month. The 2011 festival is funded by several local sponsors. This year’s festival committee co-chairs are Gibran Graham and Barbara McDade. All events are free and open to the public. For a schedule of the 25 events, visit bangorbookfest.org.